Do you want amazing flavored hot sauces that are not like the rest? 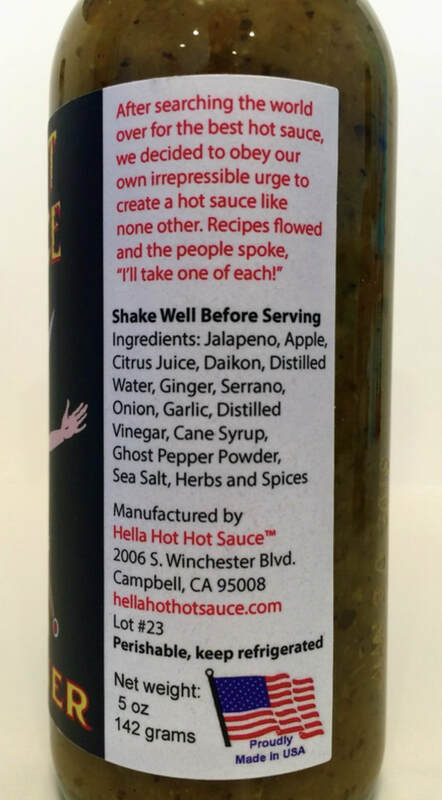 You have come to the right page, Helle Hot Hot Sauces are a completely different kind of hot sauce company that bring different flavors and heat together to form hot sauce flavors like no others. 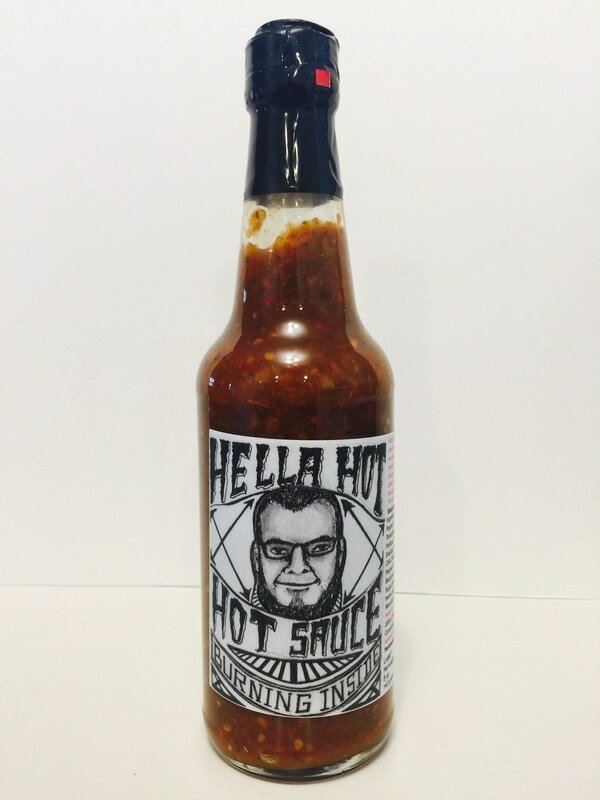 Kyle Colson is a master at the helm of Hella Hot Hot Sauces and he wants you to experience an entirely new detention in flavor and heat. 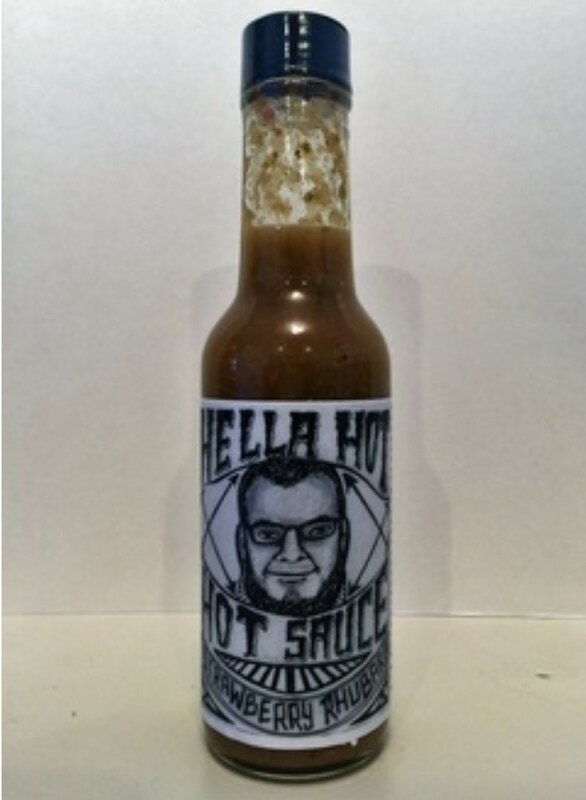 Click here to see the celebrity sauces line Hella Hot Hot Sauces has to offer. 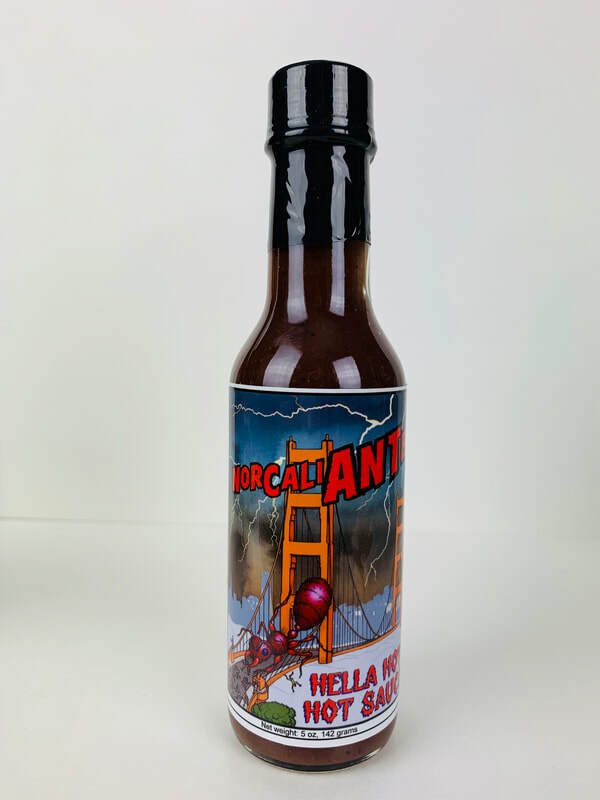 NORCALI ANTE SAUCE from HELLA HOT HOT SAUCE.. Hella Hot Hot Sauce brings you the first edible insect hot sauce ever to be created and marketed in collaboration with Paulman Acres hot sauce company in Carlsbad, Ca. Together they created these two concepts of early February of 2018! This sauce is incredible in flavor and robust in earthy notes of smell and flavor. The sauce has a blueberry base with daikon radish, Carolina reaper flakes, fresh habanero, Blackcraft ghost pepper whiskey, beets, shallots and edible ants! YES, EDIBLE ANTS! I really didn't know how to react to a sauce with ANTS in it. But after talking to Kyle Colson and Tim Palman, they were quick to advise me that the USA is one of the last countries in the world that doesn't in-brace the eating of insects. So take the challenge and give this unique sauce a try. 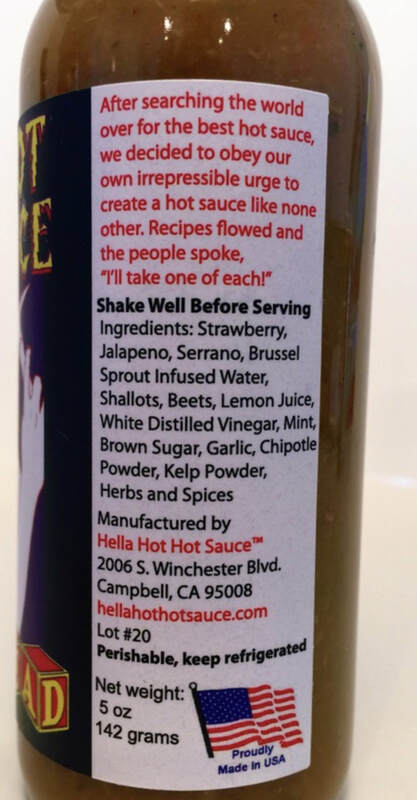 FREAKSHOW DELUXE from HELLA HOT HOT SAUCE.. This sauce is another celebrity sauce inspired by the amazing and talented Reverend Tommy Gunn and family from FREAKSHOW DELUXE. A sweet and tart taste with brown suger, citrus juice, apple, Vietnamese cinnamon, tomatillo, green onions and Hella Hot Hot Sauce's secret spices. You will be amazed at the fantastic flavor! But don't let this sauce fool ya, the big surprise is the way the heat will sneak up and latch onto your taste buds at the end. The heat comes from serrano, ghost and habanero peppers. This sauce is definitely a sleeper when it comes to heat! 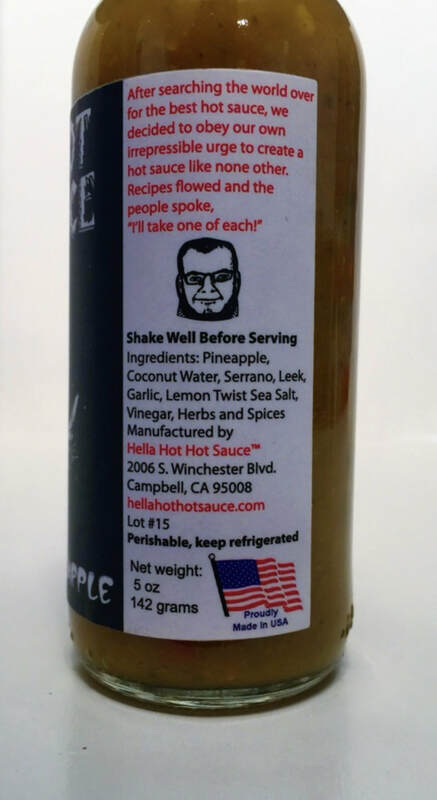 You will love this sauce on pork, apple pie, mixed with cream cheese on a bagel, chicken, rice, over ice cream, ribs and anything that the taste of apple and cinnamon would pair with. I'm loving this sauce! 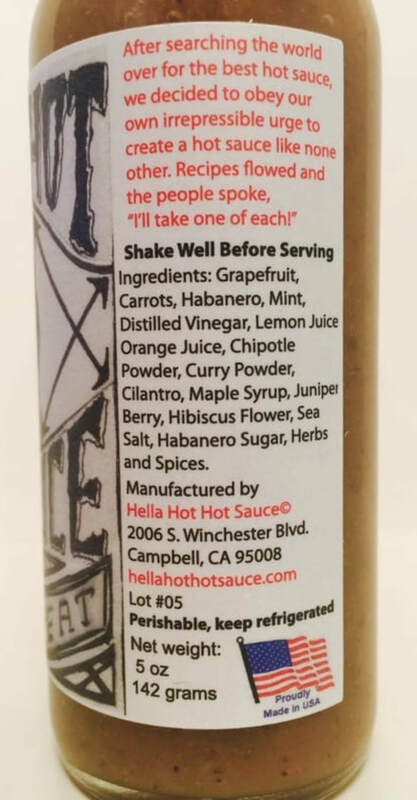 Once again an amazing sauce from Hella Hot Hot sauce! 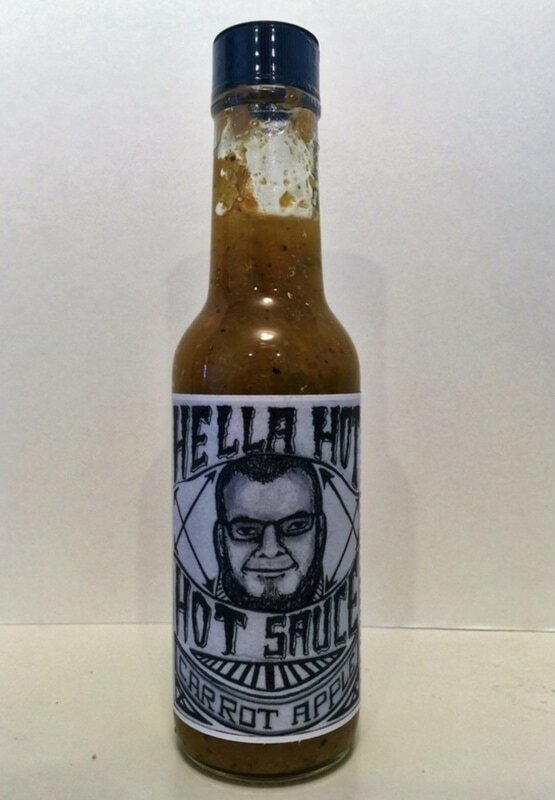 BURNING INSIDE from HELLA HOT HOT SAUCE.. Kyle has outdone himself with this flavorful hot sauce. 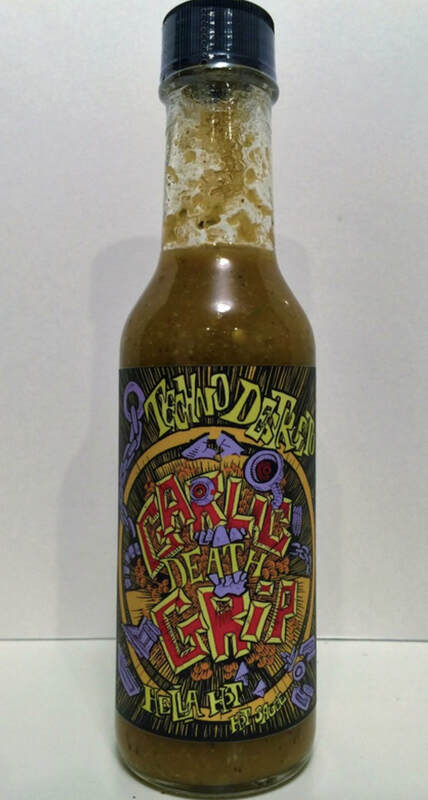 This came about because of a bet with Al Jourgensen from the band Ministry, and I don't know if Kyle won or lost, but we came out winners, as this sauce is amazing! 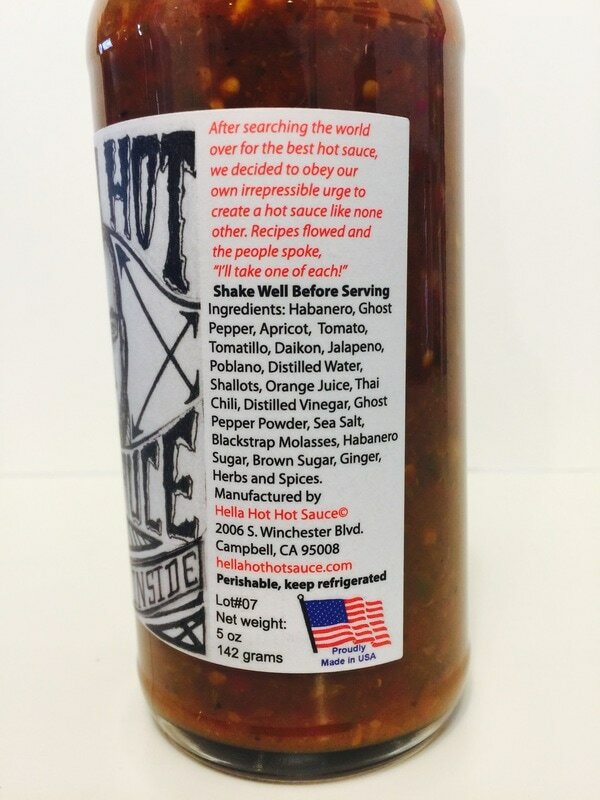 Over thirty different ingredients goes into this sauce including five different hot peppers that include habanero, ghost, jalapeño, poblano and Thai chili. The heat continues with ghost pepper powder and habanero sugar, and a bold tomato flavor that doesn't overpower. The mixture of shallots, vinegar, sea salt, a hint of ginger and so so much more, lends to it's complexed flavor. All I can say is, get this sauce! If you have a restaurant or a distributing company, grab this sauce, you will be glad you did. I used this on beef nachos and it was brilliant! Great for any type of food. Eggs, pizza, soups, a bloody mary, meat, vegi's and much more. I love it! STRAWBERRY RHUBARB from HELLA HOT HOT SAUCE.. Out of all the hot sauces that I have reviewed this is a first for Rhubarb. I grew up eating strawberry rhubarb pie, so I knew right off that I liked the flavor of these two mixed together. At first taste, I definitely got the full pepper taste of the ghost along with the other hot peppers in this sauce, then cilantro and vinegar. The flavor of the strawberry and rhubarb comes in at the end. Don't be afraid to try this sauce if your not a fan of rhubarb, because the fruit flavor is brought in perfectly so that the tartness of the rhubarb is not over done or bitter. Great job Kyle. This sauce would be great on fish, chicken or mix with cream cheese to spread on a bagel. CARROT APPLE from HELLA HOT HOT SAUCE.. The aroma from this sauce is very inviting with the fragrance of the carrots and apple. These two mixed together with all the other ingredients, makes this a sauce you will want to have. I love the heat and taste that the habanero brings to the flavor. You can defiantly get the flavor profile of this sauce by reading the label, and the blend is great. This would work great on any food or just used alone on chips. I would even use this as a marinade for chicken, pork or steak, grilled, baked or in the smoker. Wow fantastic! TRIPLE THREAT from HELLA HOT HOT SAUCE.. 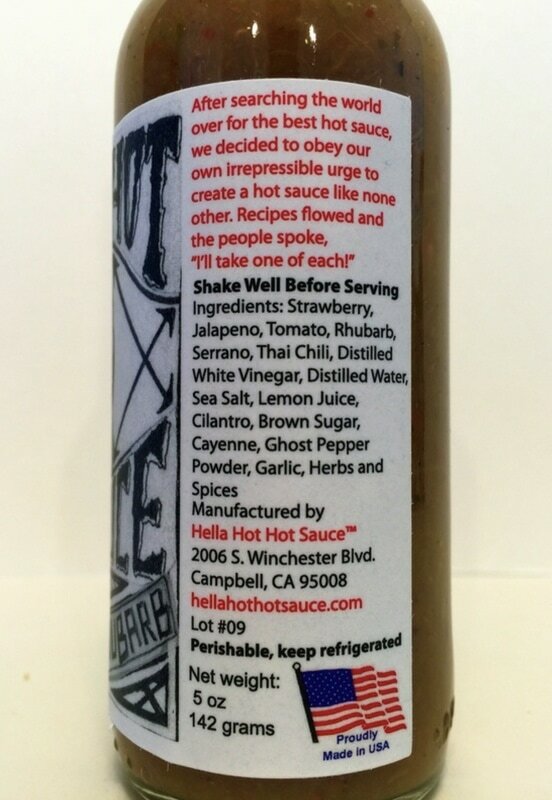 This hot sauce is in collaboration with Steve Molitz from the band Particle. 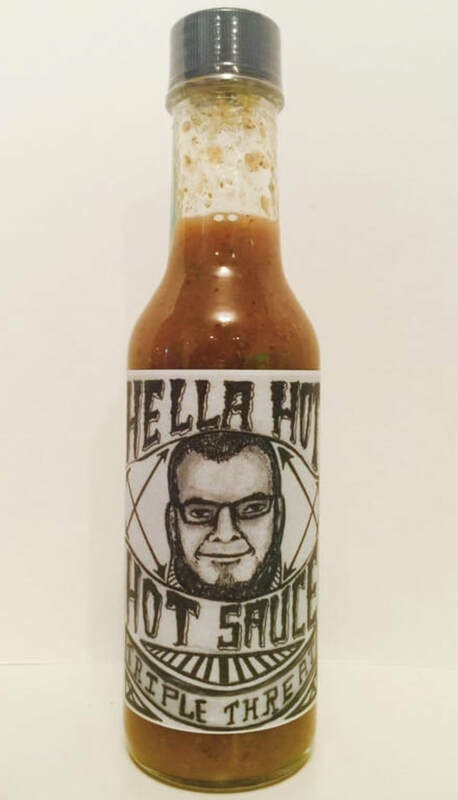 Every time I get a new hot sauce from Hella Hot Hot Sauce, I look forward to the unique and different ingredients that Kyle Colson uses. Well, once again, he didn’t disappoint. With grapefruit, carrot, habanero, mint, vinegar, lemon and orange juices, chipotle and curry powders, cilantro, maple syrup, juniper berry, hibiscus flower, salt, herbs and spices, you get a nice mix of flavor. Every one of the ingredients has a place in this sauce. Reading the label I tried to imagine just what this sauce will taste like, and there was no way I could. It explodes with a unusual bouquet of flavor from tart to citrus to floral to herb and then right at the very end, you get a slight airy mint taste with the grapefruit. As crazy as all this sounds, the more I used it, the more I wanted. 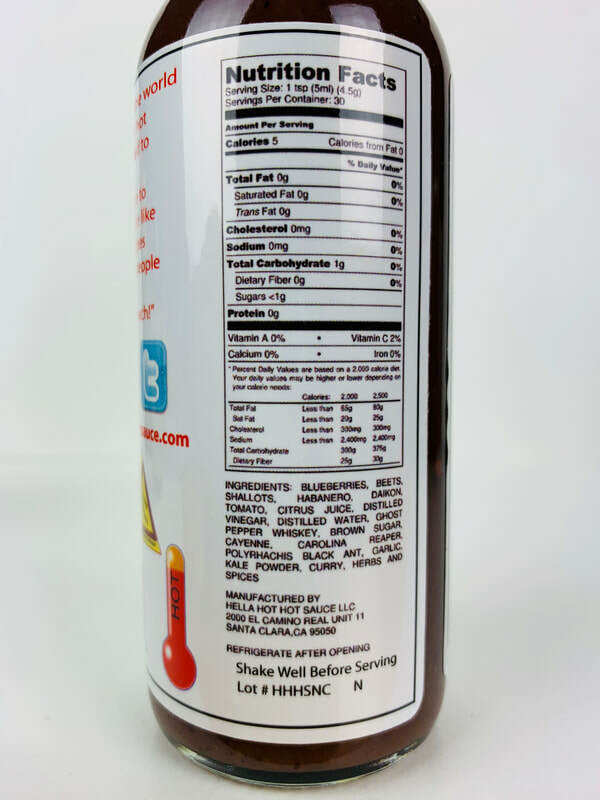 I loved the flavor it added to grilled burgers, fish and on chicken. 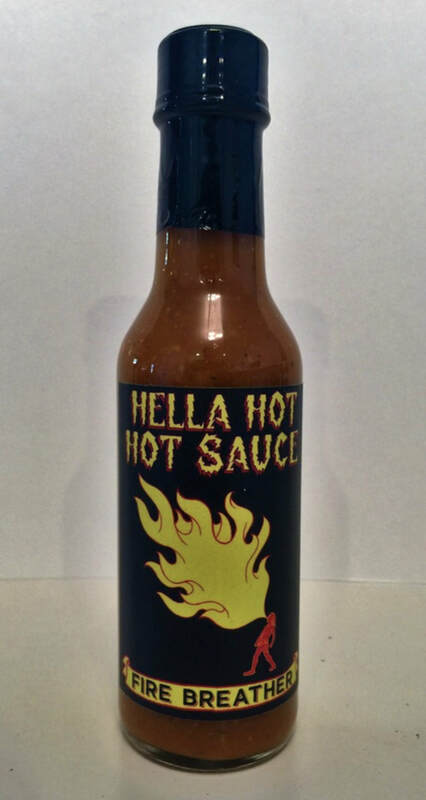 If you have never tried any of the hot sauces from Hella Hot Hot Sauce, you really don’t know what your missing. Every sauce has a different taste from any other hot sauce you will try. Good stuff! 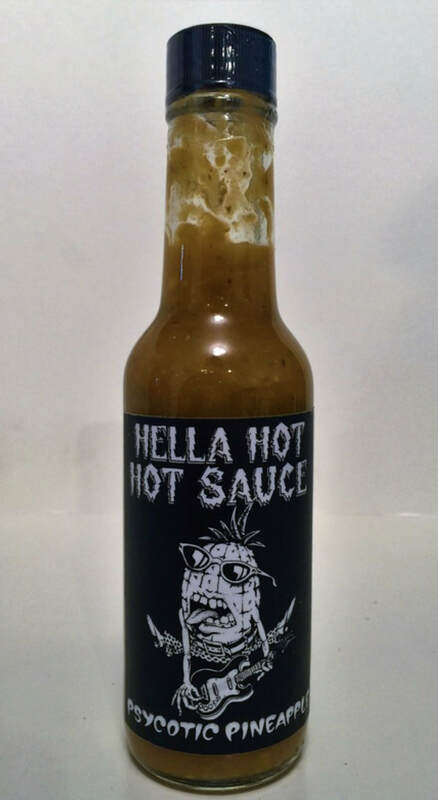 PSYCOTIC PINEAPPLE from HELLA HOT HOT SAUCE.. John Seabury well known artiest and founder of the band Psycotic Pineapple has joined up with Hella Hot Hot Sauce to create a fantastic pineapple hot sauce that has a twist of flavors. I found this to have a refreshing, light and fun taste. The mixture of pineapple, coconut water, leek, garlic, lemon twist, sea salt, herbs and spices are combined in such a great way to bring a very refreshing flavor. 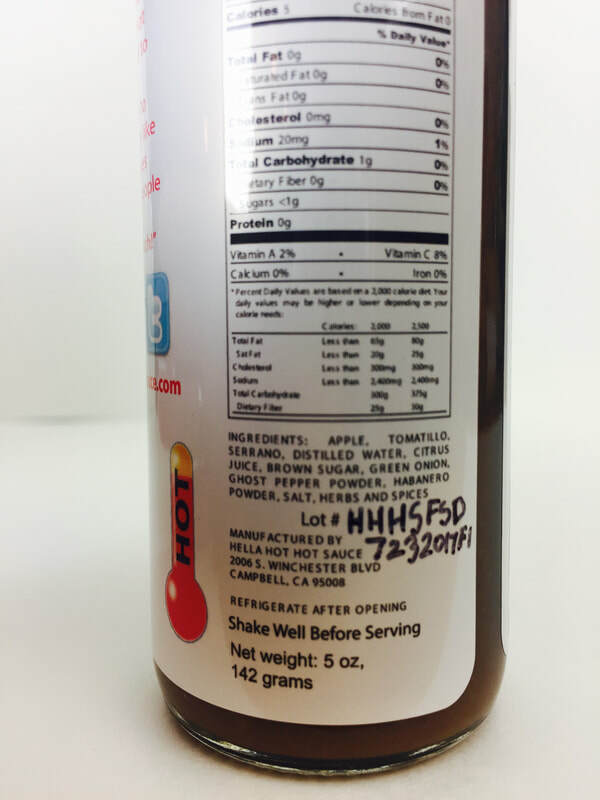 The addition of a small amount of vinegar, rounds out the flavor profile to make this a well received sauce that can be use on almost every type of food. You will find this to have a medium heat from the great tasting serrano pepper, and have a slight sweetness from the pineapple that works just right. I used this on top of cottage cheese and it rocked! This also made some killer sticky sweet hot wings and was great on a burger. I plan on trying it on some pulled pork, chicken and grilled vegetables. This is a must for the fruit style hot sauce lover. Fantastic! 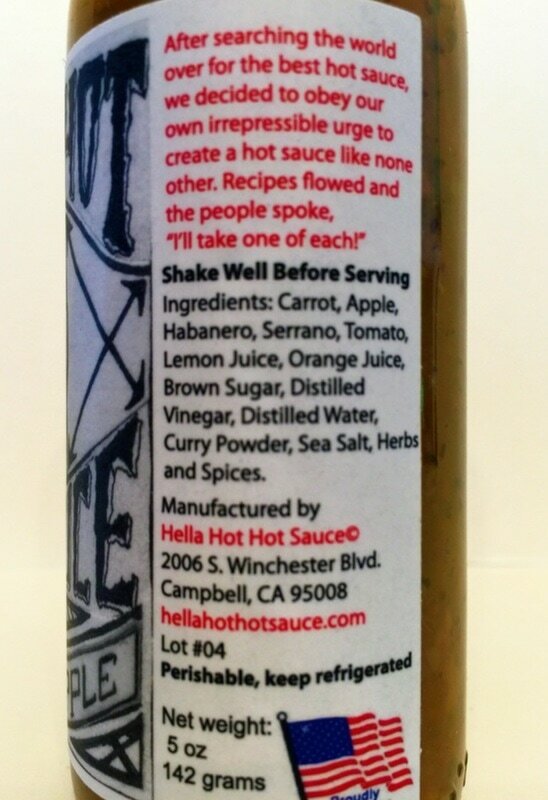 FIRE BREATHER from HELLA HOT HOT SAUCE.. Get ready to breath fire with this celebrity sauce from Hella Hot Hot Sauce. With my mouth burning from the heat of this sauce, I most definitely feel like I could breath fire! But I kept going back for more because of the fantastic flavor. This sauce has the flavors of habanero, cayenne, Thai chili, serrano and Trinidad scorpion peppers that are blended just right to add the hot peppers favor and heat. Also added are the kumquat, tomato, citrus juice, vinegar, garlic and Hella Hot's herbs and spices. The mixture of the citrus and a slight taste of vinegar adds a bright crispness to the taste that hit's you right up front, then rolls to the high heat of the peppers with a bit of tomato and garlic that will leave you flaming hot! The citrus and heat was a perfect addition to my shrimp tacos off the gill. I can't wait to make hot wings or fish tacos with this very flavorful sauce. Great job Kyle! 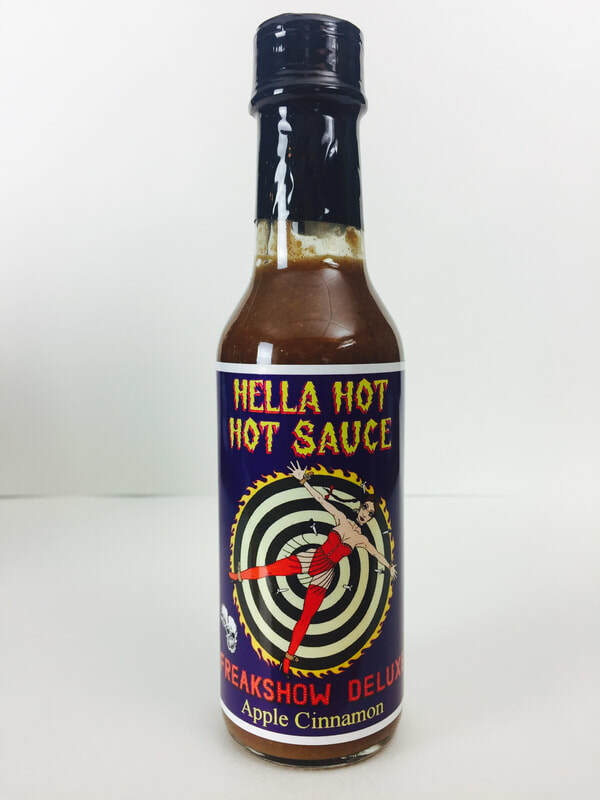 SWORD SWALLOWER from HELLA HOT HOT SAUCES.. Straight out of the Freak Show comes a celebrity sauce inspired by the sword swallower herself. It will hit you in the back of the throat and you'll feel the burn all the way down. 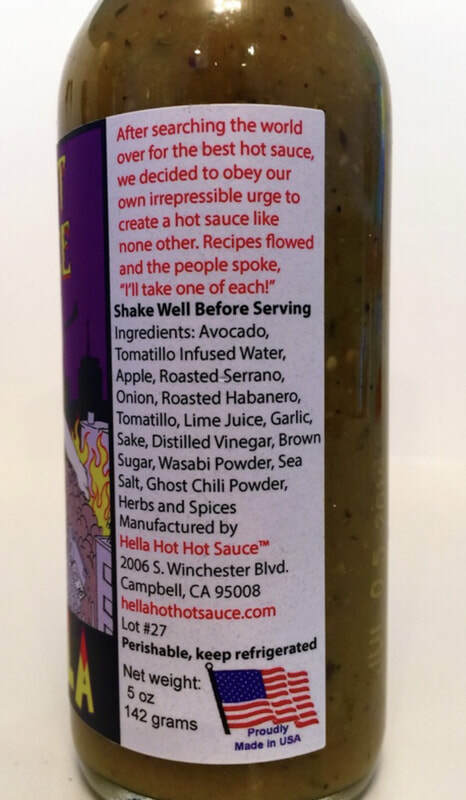 The combination of ingredients works so well together to bring you a completely different type of jalapeno hot sauce. With the addition of apple and citrus juice, the flavor takes a turn when the ginger is added along with the onion, garlic, herbs and spices. 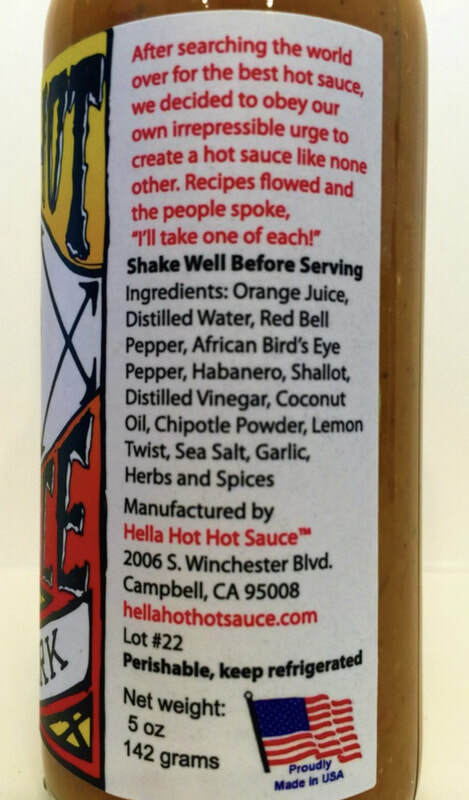 It also comes with the traditional earthiness that all Hella Hot Hot Sauce's have. The heat continues with the sting and flavor of the serrano and ghost pepper powder. This sauce was awesome on pizza and added into hamburger before cooking it on the grill. I'm sure you will find many different ways to use this great tasting hot sauce. 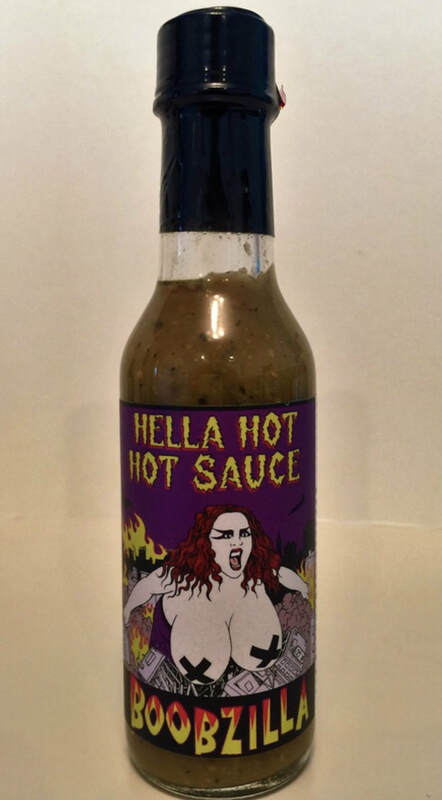 BOOBZILLA from HELLA HOT HOT SAUCE.. With a crushing frontal attack of both heat and flavor, you will definitely love the flavors of avocado, tomatillo, apple, lime juice and garlic. The addition of the rice wine (Sake) and wasabi gives this sauce a slight take your breath away feeling. The flavor of roasting the serrano and habanero gives it a full pepper taste with a hint of smokiness. The avocado not only adds a great flavor but a nice smoothness consistency. Boobzilla really fills your mouth with heat and flavor. You will love this earthy sauce on any type of food. I loved using it as a dipping sauce for hot wings because of the explosive flavor. BLOCKHEAD from HELLA HOT HOT SAUCES.. To start with, the aroma of this sauce is amazing! The first flavors that hit you is the combination of strawberry and a little ginger, then you get the greenness of the brussel sprouts, kelp and shallots. It is a strange combination for sure with beets, lemon juice, vinegar, mint, brown sugar, garlic, chipotle powder, herbs and spices, but this is a full ride of flavors that will hit you in the face like a hammer. I'm lovin this on tacos and burritos, and even though this is a little lower in heat, it definitely has a burn that lingers. GARLIC DEATH GRIP from HELLA HOT HOT SAUCE.. 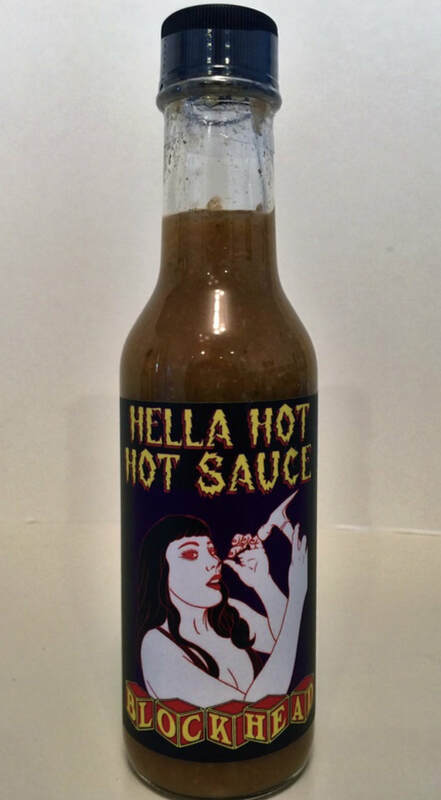 Here's a collaboration from Hella Hot Hot Sauce and Techno Destructo. He calls himself The Myth, The Man, The Machine, OG Scumdog of the Universe, half man, half machine. This sauce is just like Techno himself, bigger than life. Over the top garlic flavor with a hint of onion, leek, and green onion. There is just a bit of sweetness and flavoring from the apple. There is also a strong overtone of earthiness from the added herbs and spices. The more I used this sauce the more I liked it. The blend of all the spices, heat and flavor from the habanero, jalapeno and chipotle powder, adds just the right mixture to make this a garlic lovers dream sauce. This sauce is awesome on eggs, red meat on the grill or even used as a glaze on poultry, fish and pizza for sure! If you love garlic, I'm sure you will go crazy for this sauce. 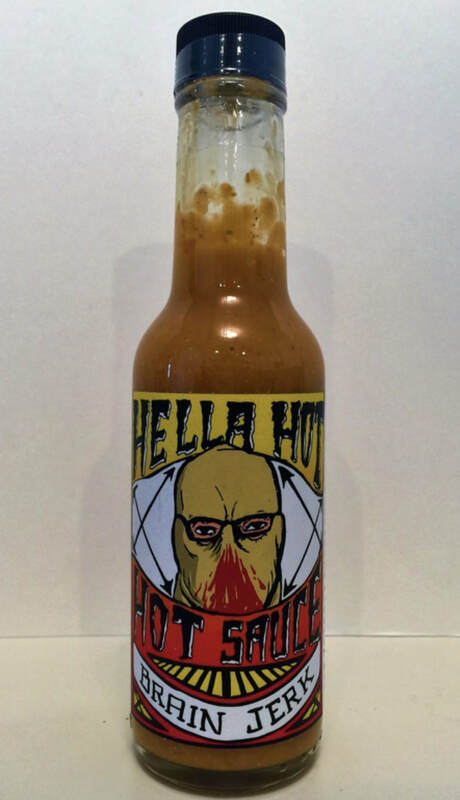 BRAIN JERK from HELLA HOT HOT SAUCE.. Kyle Colson from Hella Hot has joined up with the band GHOUL to make a hard hitting hot sauce with long lasting heat that's just like the music they play. This sauce has a twisted taste to match the bands look and style. There's a lot of heat in this one so be careful. Its a take of a Peri Peri sauce with the flavor of orange juice based with shallot, the creaminess of the coconut oil, along with the flavors of all the hot peppers and chilies. You'll also get the flavor of the lemon right at the end, if the heat doesn't distract your taste buds. This is not a shy sauce by any means and neither is Ghoul! Kyle is wearing the bands trademark mask on the label and the inspiration of the name comes from one of the bands songs. This would be an awesome way to kick start your day on your morning eggs and bacon! The unique flavor of this sauce would make a great marinade for all of your grilling.